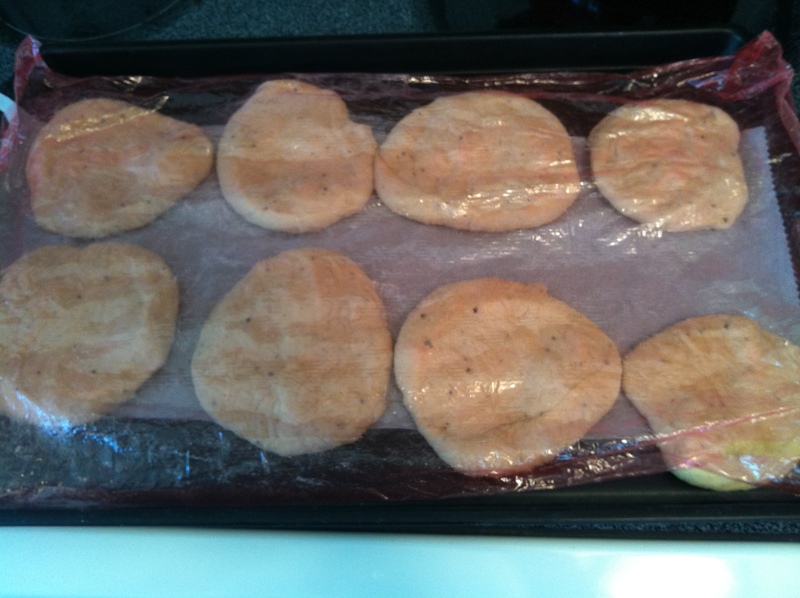 I wanted to make yummy turkey burgers the other day, but had no buns. I thought to myself, no way am I going to the store to buy buns for my amazing burgers, so I gave myself a pep talk, and made some buns. I love the idea of making most things at home, they are always better that way, my mom thinks I am crazy, but I love it! I have never in my life made homemade bread, but really how hard can it be? I wouldn’t say it is a walk in the park, but it is not sourdough either, so a novice can easily do this. Plus its fun, and a great conversation piece at your next gathering or BBQ. Just keep yourself busy between rising the dough and it will be very rewarding to you at the end of your day. 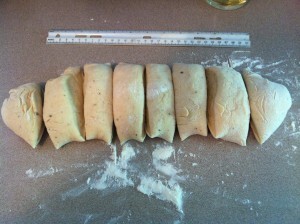 I just went outside and played in my garden each time the dough had to rise. I felt a sense of accomplishment when I finished, sliced the bread, and started building my burgers. I thought, I did it!! And let me tell this to you, they were SO YUMMY YUMMY!!!! It made quite a difference, and elevated the turkey burger to a whole other level. Stay tuned, I will post the turkey burger ingredients. I sliced the buns, and grilled them on the grill for a couple of minutes. You can also toast them if you so choose. 1. In the bowl of a stand mixer, or using a hand mixer, using the paddle attachment mix sugar, yeast, pepper, garlic powder, onion powder, whole wheat flour, and 2 cups of the ap flour, salt, and mix well. Add milk, water, and butter at low speed until the ingredients are combined well. Switch to a dough hook and finish mixing. 2. The dough should be moist and sticky, add just enough ap flour, a tablespoon at a time, to clear the dough off the sides of the bowl. Knead dough in stand mixer on medium for 8 minutes, or by hand for 8 minutes. 3. Place dough on floured surface and lightly knead for a few minutes and form a ball. Place dough into a lightly oiled bowl. Cover tightly with plastic wrap and let rise until double in size, about an hour. Note: You can either spray oil onto sides of bowl, or lightly oil a paper towel to oil sides. 4. 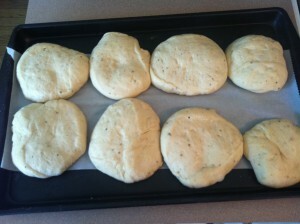 Gently deflate dough, place on floured surface and fold a few times. 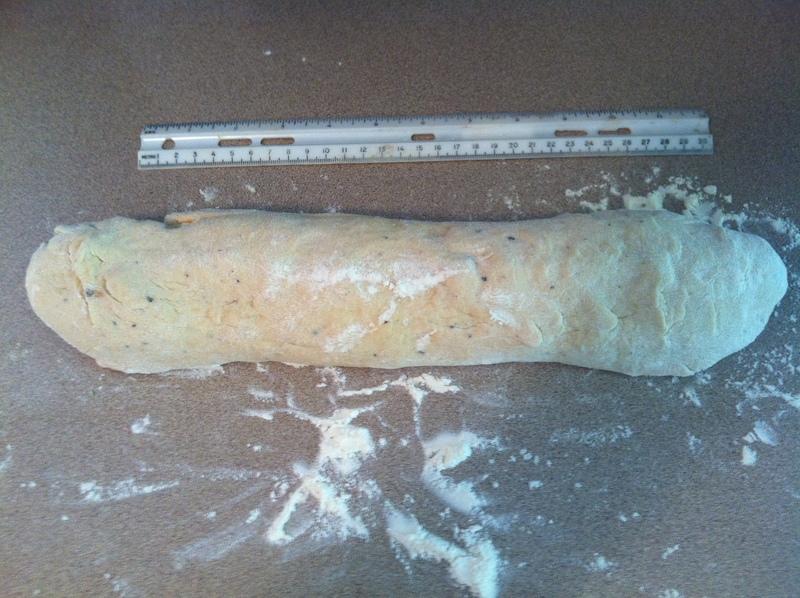 Shape into a roll about 12 inches long. cover with plastic, and let rest for 5 minutes. 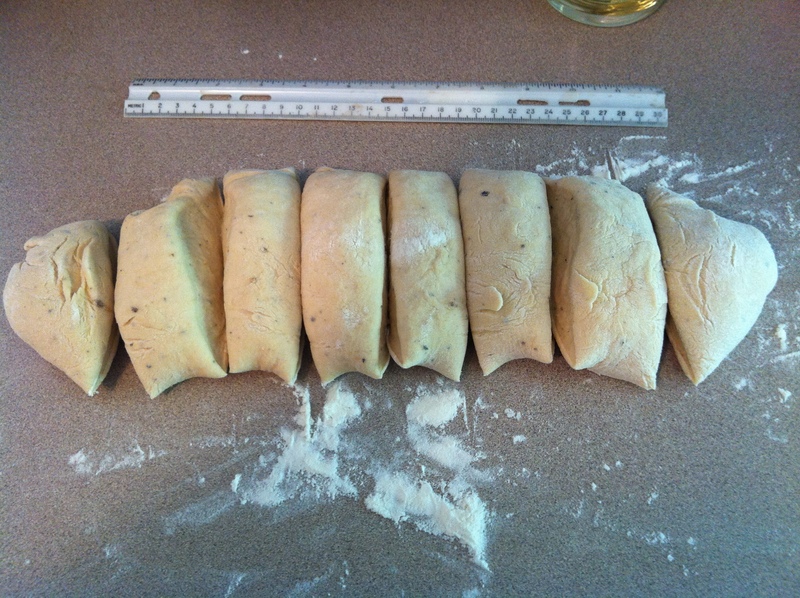 Divide roll into 8 pieces by cutting 12 inch roll in half, then each half in half, then each quarter in half. Shape each piece into a roll by cupping palm on the surface. Flatten ball into a disk about 4 inches in diameter. Place on parchment paper on a cookie sheet. Cover in plastic wrap, and let rise until double in size, about an hour. Whisk egg and 1 tbsp water, brush tops of buns, bake for 15 minutes. Cool buns before you slice them. You can freeze them for future use, or use them within 5 days. 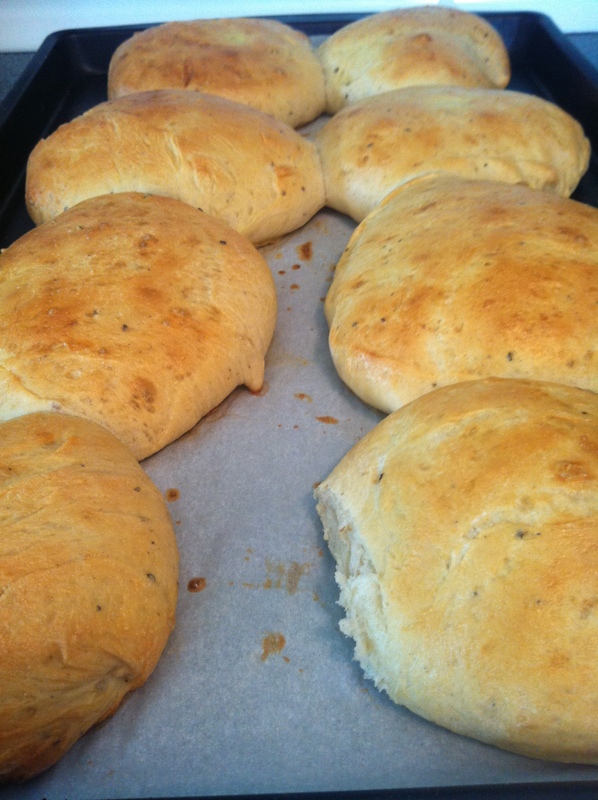 Use them for sandwiches, grilled cheese, or as a side roll with yummy soup. The possibilities are endless.